Ubicollectibles presents its latest creation "Connor - The Last Breath", directly inspired by a scene from the action-packed announcement trailer for Assassin's Creed III. This finely-detailed collection piece shows Connor Kenway about to execute an English general to protect the freedom and independence of his people. 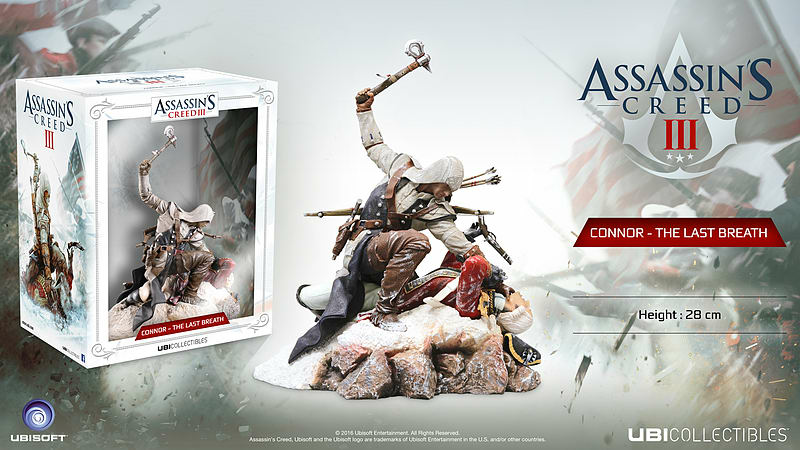 With its original pose and high-quality finish, this iconic figurine will perfectly complete your Assassin's Creed collection.